From the renowned beaches of Acapulco and Ixtapa to the silversmiths of Taxco, Guerrero is known as a mecca for ocean-loving tourists and sports fisherman. The main economic drivers in the state’s central valley region are agriculture and livestock breeding. The area’s main farm products are maize (corn), beans, sorghum, rice, sesame, tomato, melon, lemon, coffee, coconuts and bananas. In addition, Guerrero produces more than 3 percent of the beef consumed in Mexico. 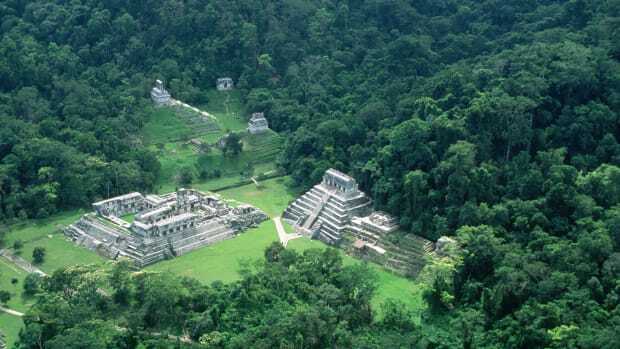 Evidence of human presence in Guerrero dates back to 300 B.C. 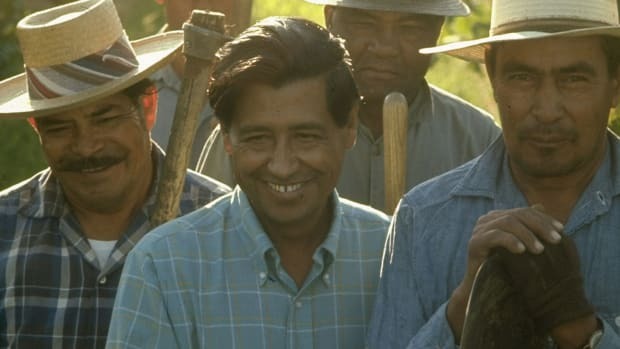 when the Olmeca people inhabited central and southern Mexico. Even though the Olmeca primarily occupied Tabasco and Veracruz, their influence extended into modern-day Guerrero. The caves of Juxtlahuaca, 30 miles south east of Chilpancingo, feature Olmeca wall paintings dating from around 300 B.C. to 400 A.D.
Did you know? Trade become common during the 1500&apos;sbetween Acapulco and destinations such as Peru and Asia. For more than 250 years, the Santa Anna, a special trading ship known to the English as the Manila Galleon made one annual trip from Acapulco to Manila and the Orient. The Mezcala Indians established themselves in the region during the 7th century. 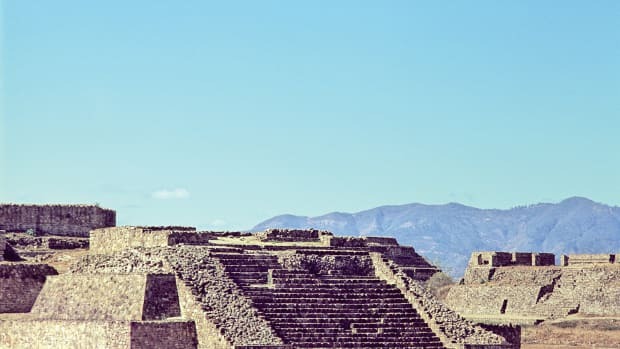 While they don’t appear to have built any important structures in the area, they did introduce stone sculpture and ceramics, crafts traceable to the Teotihuacán culture. 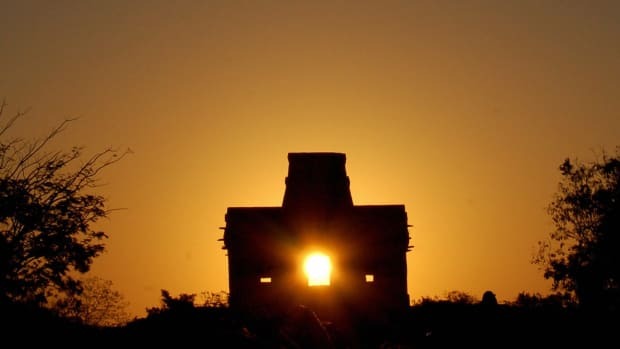 In the 10th century, Teotihuacán groups built pyramids in Texmelincán and Teloloapan. Tepaneca Indians and other tribes lived along the Pacific coast until Náhuatl (Azteca) groups invaded the region in the 11th century. After conquering central Mexico, the Aztecs divided the region that constitutes modern-day Guerrero into seven entities. Tax collection mechanisms were introduced, and the centralized Azteca government exerted influence over the local natives. One part of Guerrero, Acapulco, never came under the direct control of the Aztecs but instead remained subject to local caciques (chiefs). 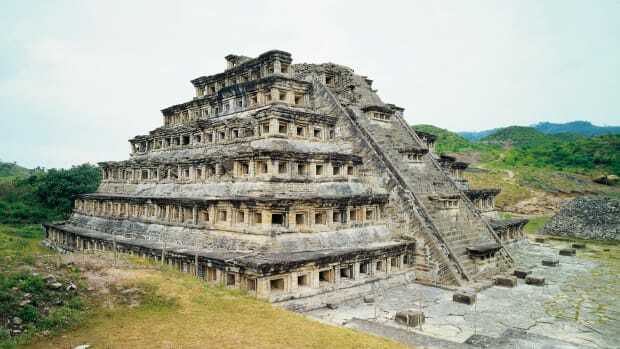 Acapulco’s culture was, however, influenced by Tarasca, Mixteca, Zapoteca and Azteca civilizations. After conquering the Aztecs at Tenochtitlán in 1521, Spanish invaders quickly assumed power over other tribes in the region. 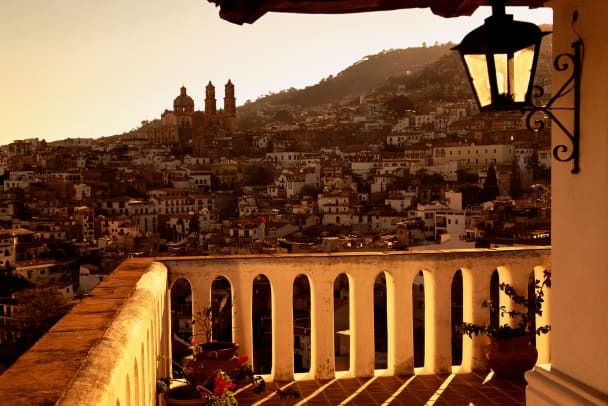 In 1534, Spanish expeditions discovered silver in Taxco, Guerrero, which attracted even more Spanish settlers and radically altered indigenous life. The natural harbor at Acapulco enabled trade with Asia, and while the rough and dangerous road between Acapulco and Mexico City took 12 days to travel, the prospect of lucrative overseas trade made it one of the busiest colonial routes in Mexico. Trade become common during this period between Acapulco and destinations such as Peru and Asia. For more than 250 years, the Santa Anna, a special trading ship known to the English as the Manila Galleon made one annual trip from Acapulco to Manila and the Orient. Its return voyage was celebrated in Acapulco each year with an annual merchant fair, when traders bargained for the galleon’s cargo of silks, porcelain, ivory and lacquerware. In 1579, the English raider Francis Drake attacked but failed to capture the ship; nine years later, Thomas Cavendish seized the Santa Anna off Cabo San Lucas, stealing 1.2 million gold pesos and severely depressing the London bullion market. Importing slaves from Africa and parts of Asia had long been a common Spanish practice, and during the 16th century Acapulco became a center for slave trade. Most slaves were put to work in the silver and gold mines. Those who managed to escape formed slave communities in the mountainous regions of the southern and western part of the state, which remained active until the mid-19th century. Modern-day descendants of African slaves still live along the southern Pacific coast. During the Mexican War of Independence (1810-21), José Morelos was commissioned by Mexican priest and revolutionary Miguel Hidalgo to form an independence army in Guerrero. 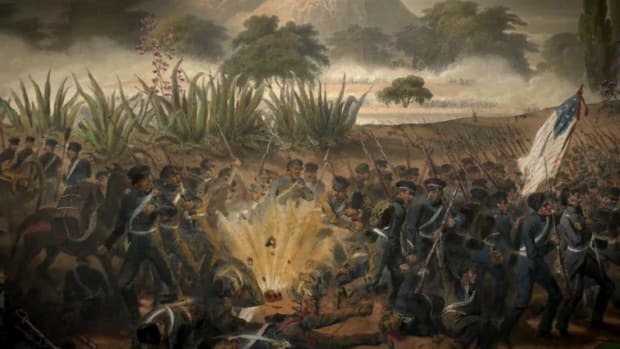 More than 3,000 soldiers joined Morelos, and they liberated Chilpancingo from Spanish control and declared it the nation’s capital in 1813. Following Morelos’ death, the struggle for independence continued with Vicente Guerrero eventually emerging as the movement’s strongest leader. The movement succeeded in wresting Mexico from Spanish control, and in 1821 the Plan of Iguala was implemented. It mandated independence, a single national religion (Roman Catholicism) and social equality. After Mexico gained its independence, Guerrero was appointed as chief of the southern region of Mexico, where he fiercely fought for the establishment of a federal republic. He eventually became president of Mexico in 1829 but was assassinated just nine months later. 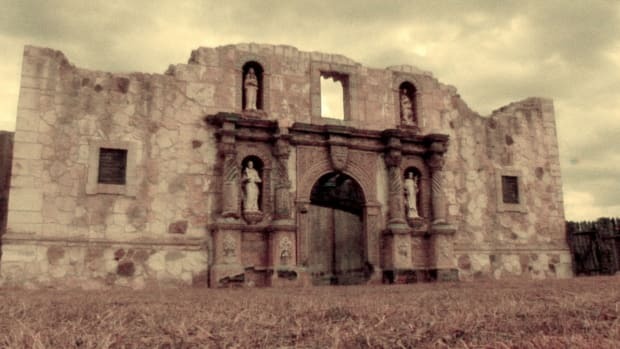 As the government of the young country struggled to win control of all of its territory, indigenous rebels — discontent with Antonio López de Santa Anna, president of Mexico from 1833 to 1836 — attacked government installations and civilian homes and businesses, exacerbating the region’s political and military instability. 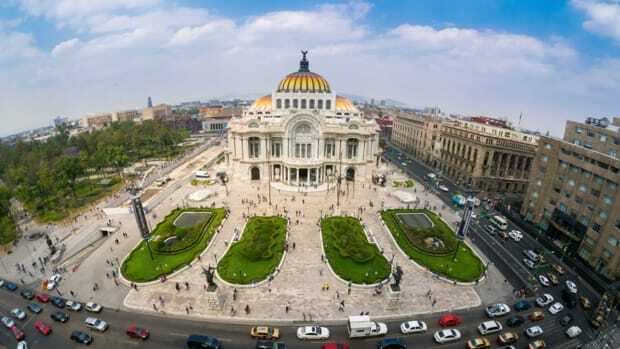 In retaliation for Mexico’s refusal to pay long-standing debts, France invaded Mexico in 1862. Many constitutionalist and liberal leaders sought refuge in Guerrero, where they attempted to reorganize their opposition to French Emperor Maximilian II. Benito Juárez, Mexico’s ex-president (1861-1872), led the opposition to the French empire and was supported by Ignacio Manuel Altamirano, a Guerrero writer and journalist of Nahua descent. Juárez finally regained control of the country in 1867. In the period between 1880 and 1910, while dictator-president Porfirio Díaz was in power, conflicts between powerful caudillos, who were political-military leaders, made it difficult for state authorities to control Guerrero. As early as 1893, dissidents from Guerrero, lead by Canuto Neri, organized revolts against the federal-sponsored state government. Because of the constant presence of militias and the weak state government in Guerrero, there was no central authority with the power to effectively control the revolution as it escalated in the state. Most of the state’s population agreed with the philosophy of Emiliano Zapata that those who worked the land should own it. 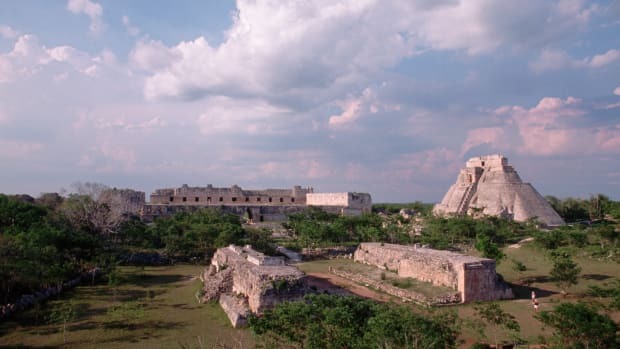 When the revolution finally ended, successfully for the rebels, over a decade later, the Institutional Revolutionary Party (PRI) emerged as the national political force, and old conflicts between local caudillo families in Guerrero subsided. The presidency of Miguel Alemán (1946-1952) helped promote economic development in the state, particularly in Acapulco. In the 1960s and 1970s, widespread poverty and inequality fueled support for different guerrilla groups in Guerrero. Rural violence by insurgent groups continued into the early 21st century. Today, insurgent groups are still active in Guerrero countryside; the strongest of these groups is the Ejército Popular Revolucionario (EPR), which seeks to install a communist regime in Mexico. Economic development in the 1980s and the consolidation of Acapulco, Ixtapa and Taxco as tourist attractions have benefited the state economy, which is mainly supported by tourism, farming, commerce and transportation. Guerrero is rich in natural resources, and manufacturing, mining and energy production are growing industries. After the North American Free Trade Agreement (NAFTA)–a trade agreement among Mexico, the United States and Canada — took effect in 1994, many new maquiladoras (assembly plants) were established, which generated additional income for the state. Guerrero is currently plagued by violence and lawlessness perpetrated by politically motivated guerrillas and drug cartels. The state’s location along the Pacific coast as well as its dense rainforests and mountains makes law enforcement in the area difficult. Guerrero’s coat of arms was designed by renowned Mexican muralist Diego Rivera in 1923. The central design features a Caballero Tigre (Tiger Knight) on a field of blue. The highest ranking soldier in the Mexica (Aztec) army, the knight is dressed in the traditional jaguar skin battle suit. In his left hand is a typical Mexica shield; in his right is a macuahuitl, a club-like weapon embedded with sharp stones. The crest is topped by a colorful royal plume. 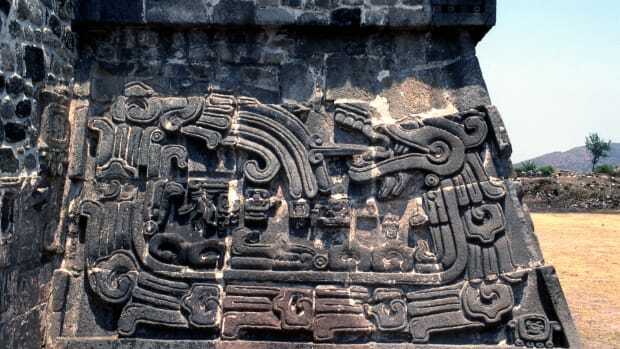 Rivera chose this image because guerrero is Spanish for knight, and the Tiger Knight was a powerful figure among the Aztecs who populated the region before the arrival of the Spanish. The state’s three main areas of tourism (Acapulco, Taxco and Ixtapa/Zihuatanejo) form what is known as the Triángulo del Sol (Sun Triangle). 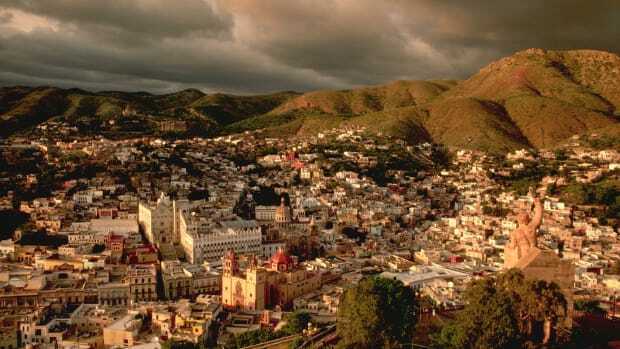 Acapulco and Ixtapa are popular beach destinations, while Taxco is an old colonial silver mining center known for its silverwork and handmade crafts. Acapulco was once a port for Manila galleons, Spanish trading ships that sailed between Manila and Acapulco. Acapulco is still a commercial port, but it is now known primarily for its tourist attractions. In the 1970s, a trip to Acapulco from Mexico City took seven to eight hours by car; travel time was cut in half after the Autopista del Sol, a new highway, was opened in 1996. Two future U.S. presidents and their wives–John and Jackie Kennedy and Bill and Hillary Clinton–honeymooned in Acapulco. Residents of Zihuatanejo, Guerrero, enjoy about 300 days of sunshine per year. 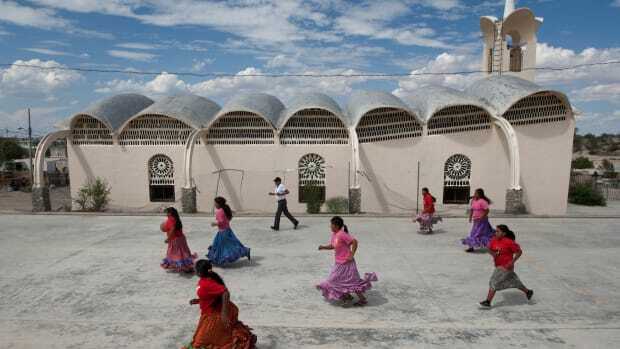 Local celebrities from Guerrero include Rodolfo Neri Vela, Mexico’s first astronaut, who was born in Chilpancingo, and Jorge Campos, a well-known soccer player during the 1990s, who was born in Acapulco. Cuauhtemoc, the last Aztec emperor, is buried in the Santa Maria de la Asunción Church in Ixcateopan, Guerrero. 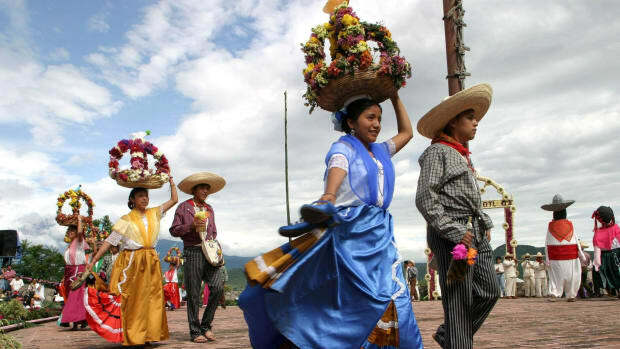 The town holds a festival each year, including traditional dance and dress, in honor of the anniversary of his death. Thousands of tourists travel from all over the world to visit Acapulco’s renowned beaches. The area features two main bays, Puerto Marques and the Bay of Santa Lucia (Acapulco Bay), and the city is surrounded by the Sierra Madre del Sur mountain range. In addition to beautiful beaches, Acapulco offers diving and snorkeling sites, fishing, jet skiing and power boating as well as the opportunity to swim with dolphins. The Mexican Tennis Open is held in Acapulco every February. Another famous site in Acapulco is La Quebrada, where cliff divers plunge 41.5 meters (136 feet) into the Pacific below, landing in water only 2.9 meters (9.5 feet) deep. Since the 1940s, the divers have been one of Mexico’s most famous attractions, with five daily performances. Taxco Silver Taxco, a mountain town accessed by small stone-paved roads, is famous for its silversmiths and silver shops. Surrounding the Borda Plaza in the center of town are numerous shops offering extensive displays of fine silver jewelry, goblets, platters and decorative articles. Located in the northern part of the state of Guerrero, the Grutas de Cacahuamipla are shoreline caverns full of stalactites and stalagmites. Discovered in 1834 by Manuel Saenz de la Peña, the caves became a National Park in 1937. The mouth of the caverns is 21 meters (69 feet) high and 42 meters (138 feet) wide. Only one-seventh of the estimated 70 kilometers (43.5 miles) of passages and chambers inside the caverns has been explored to date. Every day, visitors take guided tours through approximately 2 kilometers (1.2 miles) of Grutas de Cacahuampila’s underground labyrinth, careful not to lose their balance on paths slick with moisture and deposits.